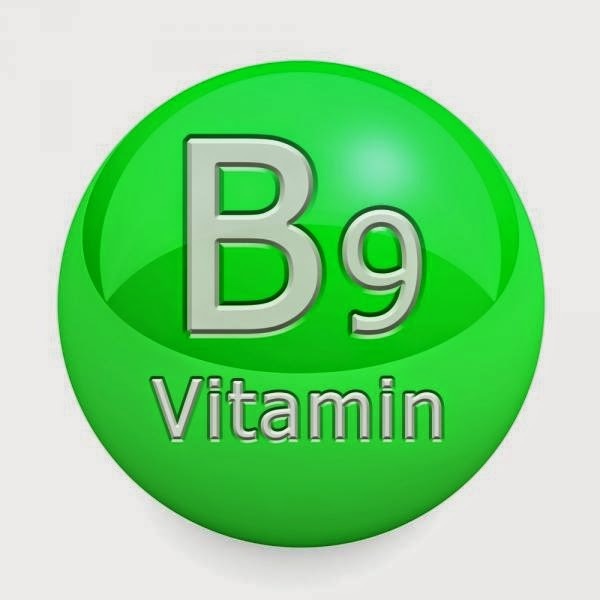 Vitamin B9, also called folate, is one of the water-soluble B vitamins. The name comes from ‘folium’, which is the Latin word for leaves, because folates were first isolated from spinach. 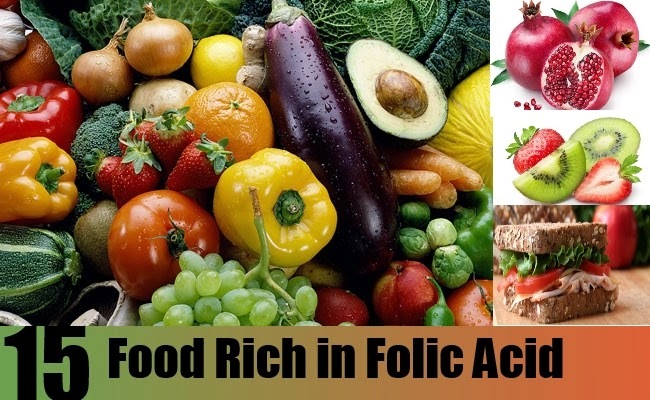 Folic acid is important for the production and maintenance of new cells. This is especially necessary during both pregnancy and infancy when cell growth is extremely rapid. Both adults and children need folic acid to make normal red blood cells and to prevent anemia. Having enough folic acid in early pregnancy can prevent birth defects, including problems with the spine (neural tube defects) and brain. Women who become pregnant and don't consume enough folate are also more likely to have babies who have low birthweight or are premature. Vitamin B9 can occur in different forms: the naturally occurring ‘folate’, and ‘folic acid’, a synthetic folate compound used in vitamin supplements and fortified food because of its increased stability. The B complex vitamin, simply called folate - and also known as folacin or folic acid at times - has a very important role to play in many of the vital systems that are vital to the maintenance of the body's metabolic rate and internal biochemical balance in the health continuum of the human body. The health benefits of vitamin B9, also known as folic acid, include the prevention of heart disorders, stroke, cancer, and birth defects during pregnancy. It also helps in building muscles, cell enhancement, hemoglobin formation, and even provides relief from mental and emotional disorders. 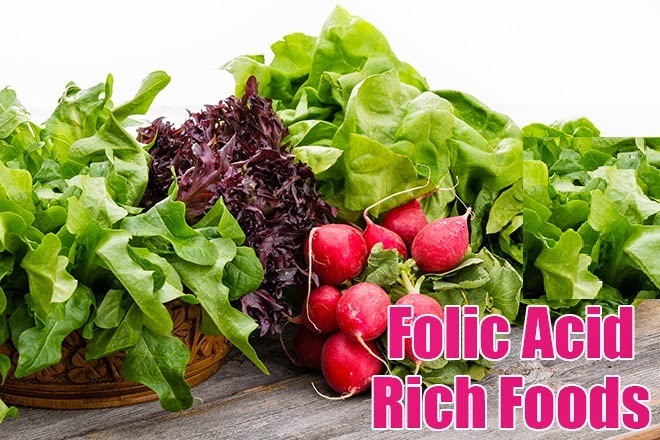 Folic acid is used for preventing and treating low blood levels of folate (folate deficiency), as well as its complications, including “tired blood” (anemia) and the inability of the bowel to absorb nutrients properly. Folic acid is also used for other conditions commonly associated with folate deficiency, including ulcerative colitis, liver disease, alcoholism, and kidneydialysis. Folic acid is used for memory loss, Alzheimer’s disease, age-related hearing loss, preventing the eye disease age-related macular degeneration (AMD), reducing signs of aging, weak bones (osteoporosis), jumpy legs (restless leg syndrome), sleep problems, depression, nerve pain, muscle pain, AIDS, a skin disease called vitiligo, and an inherited disease called Fragile-X syndrome. It is also used for reducing harmful side effects of treatment with the medications lometrexol and methotrexate. Folate is found abundantly in natural sources including various organ meats, in all kinds of dark green and leafy vegetables, in vegetables like asparagus, legumes like lima beans, in yeast, in whole grains and wheat germ, in lentils, and in orange juice. Cooking and heat degrades about fifty to ninety five percent of the folate, this vitamin is also destroyed in the canning, processing or storage process involving all kinds of packaged foods - this is because the vitamin can be degraded by exposure to heat and sunlight or to acids and related preservatives used in the food industry. The recommended amount of folic acid is not consumed by the majority of people as part of the diet - due to the large scale degradation of the vitamin in the cooking of food. The beneficial effects of folic acid was recently under investigation by scientists who found through research that many people suffering from heart disease possess elevated blood levels of the compound homocysteine - the levels of this amino acid is often regulated by folic acid in the human body. Based on this evidence, it can be said that a mild deficiency of folic acid affects many people in modern Western societies. 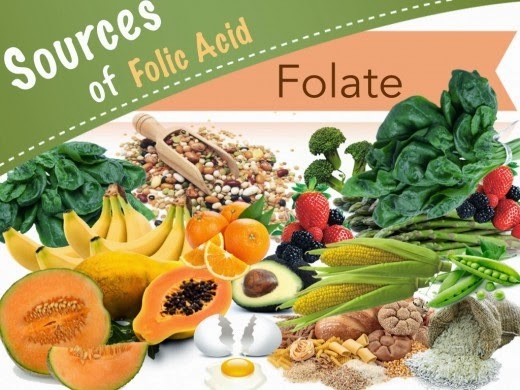 Some clinical researchers are so sure of folate's beneficial effects that they estimate the 13,500 deaths occurring from cardiovascular diseases can be prevented by an increased intake of folic acid as part of the diet or as supplements. Impoverished people in developing countries, all alcoholics, people affected by malabsorption disorders as well as women who use contraceptive pills commonly develop a deficiency of folate. From the evidence based on a recent study, a folic acid deficiency was also much more likely to affect elderly people suffering from loss of hearing than other healthy elderly individuals with no hearing problems. How Much Vitamin B9 ( Folic acid / Folate ) Is Enough? Men need 200 micrograms per day of folic acid, and women who cannot become pregnant need 180 micrograms per day of folic acid. If you are a woman who plans to or could become pregnant, you need to eat foods fortified with folic acid. You may also need to take a supplement to be sure you're getting 400 micrograms per day. Once you are pregnant, your intake should be 400 micrograms per day. Breastfeeding mothers need 280 micrograms per day. Always consult with your doctor before taking a large amount of any vitamin supplement. Folate deficiency is one of the commonest vitamin deficiencies. It can result from inadequate intake, defective absorption, abnormal metabolism or increased requirements. Early symptoms of folate deficiency are non-specific and may include tiredness, irritability and loss of appetite. Severe folate deficiency leads to megaloblastic anemia, a condition in which the bone marrow produces oversized immature red blood cells. Pregnant and breast-feeding women are at a higher risk of vitamin B9 deficiency: due to rapid tissue growth during pregnancy and to losses through the milk during breast-feeding, an increased folate/folic acid intake is required. In pregnant women, vitamin B9 deficiency can result in devastating and sometimes fatal birth defects (e.g., neural tube defects). Scientist have found that folate is vital for the biochemical synthesis of the essential nucleic acids, DNA and RNA; at the same time, research has still not let us to an understanding of the exact role performed by folate in human cellular metabolism. Folate is also involved in the synthesis of some essential biochemical proteins that are essential for cellular reproduction and division; therefore it is not hard to realize just how devastating a deficiency of this vitamin could be to a person. Organs that are most affected or hardest hit by a deficiency of folate include organs which are dependent on the rapid proliferation of new cells, such as bone marrow tissues, hair and fingernails, the immune system, as well as certain mucous membranes and red blood cells. Physical symptoms that are considered to be classic or almost the norm during a case of folate deficiency include anemia and generalized weakness, an inflamed and sore tongue, a general numbness or tingling sensation in the hands and the feet, problems like indigestion and diarrhea, persistent depression, constant irritability, pallor and drowsiness all underlined by a slow and weakened pulse rate. Most of these symptoms are also seen in people affected by pernicious anemia, resulting from a deficiency of cobalamin (B12) vitamin. These so called classic symptoms are similar with the symptoms induced by a deficiency of most of the other essential vitamins and minerals, and have been experimentally revealed by means of severe deprivation of the vitamin in the body of test subjects. The health continuum of the human body joins together a wide range of illnesses and different health disorders. At the same time, this health continuum does not have a definite cut off point in which the difference between supply and demand can suddenly turn severe enough to be termed a deficiency and lead to the causation of deficiency symptoms in the person. An adverse biochemical effect results as soon as the supply of the nutrient does not meet the demand from the diet and the result is a deficiency in the levels of the nutrient within the body. The real effects on the state of health of the person may not be significant; however, such a situation will occur as long as a deficiency exists. In a state of deficiency, the healing rate of wounds slow down. The volume of hair that falls out may be greater than what normally occurs. The affected person may also be frequently affected by different infections than what normally affects them. The person experiencing a deficiency can also start being affected by some of the classic symptoms. At the same time, blood sugar levels are apparently maintained at a normal rate by the folate present in the human body. In animal experiments, where a comparison of the difference in blood sugar levels was studied, it was found that folate supplemented rats had a much higher blood sugar level following a fast of forty eight hours than did rats that were not given any folate supplements. Some people suffering from a chronic low blood sugar level can benefit from this therapeutic action of the folate supplement. The body's requirement for folate and other nutrients rise during a term of pregnancy. Physical symptoms induced by a deficiency of folate include persistent depression and insomnia, as well as constant irritability. In addition, women who are inclined to having a spontaneous abortion and problems like miscarriage can also benefit from the preventive actions of folate. Supplements of folate may help such women in carrying a fetus to full term and deliver a healthy baby. Folate is an essential nutrient in the proper and timely development of a fetus and is also needed for the synthesis of new tissues - other people also need sufficient levels of this vitamin in the body to avoid deficiency symptoms. Extreme and severe side effects can affect the baby if a mother suffers from a deficiency of folate deficiency during her term of pregnancy. A symptom known simply as restless legs syndrome is one of the simpler side effects induced by a deficiency of folate. Physical symptoms of folate deficiency that usually affect the person at night, include symptoms such as insomnia and leg numbness as well as muscular cramps that can only be relieved by movement and massage of the calves. Low dietary and blood levels of folate was found to be directly connected to the restless legs syndrome experienced by the tested persons during one clinical investigation. Nine volunteers out of a group of twenty one pregnant women were affected by restless leg syndrome during a study. A folate supplement had been given to only one of these women during the test. Ten women out of the other twelve that were not affected by restless leg syndrome had been given supplements of folate. Folate deficiencies can be induced by the use of oral contraceptive pills, such deficiencies can remain in the body for many months even following the discontinuance of contraceptive use. The metabolism of folate in the human body can be disrupted by many commonly used medications - such disruptions can cause a deficiency to appear in the person. The rate of folate elimination from the blood plasma is increased by the use of oral contraceptives. Folate is also antagonized by the medication called methotrexate, a drug extensively used in bringing about immune-suppression in diseases like cancer and psoriasis. Folate metabolism in the human body is also affected by other medications such as aminopterin, as well as anti-malarial drugs including the compounds pyrimethamine, the compound phenytoin, the compound pentamidine, the compounds trimethoprim, primidone, phenobarbitone, isoniazid and cycloserine combination therapy. Folate metabolism is also affected by alcohol in the body; the vitamin is affected adversely by the use of diphenylhydantoin, by drugs like barbiturates, hormones like estrogens, as well as anti-convulsant medications and phenothiazines. The level of folate in the body is rapidly depleted in the period following a severe injury or physical trauma. The systemic bacterial infection in the body also impairs the absorption rate of folate in the body. A folate deficiency is often seen in people affected by sickle cell anemia. A deficiency of the essential mineral zinc also leads to a lowering in the rate of folate absorption from the food present in the intestine. A deficiency of the vitamin C can also lead to a deficiency of folate, as this compound is essential for the biochemical conversion of folate to its biologically active form. Folic acid deficiency is one of the more widespread vitamin deficiencies and often occurs in alcoholics, women who are pregnant, in people who have problems with absorption (with inflammatory bowel disorders such as ulcerative colitis and Crohn's disease), and in people who are taking some prescribed medicines (like methotrexate and cholestyramine). A folate deficiency may happen due to a lack of dietary consumption or because of a problem absorbing it via the intestines. Signs of folic acid deficiency are often quite subtle. In many cases a folic acid deficiency occurs without any noticable symptoms. Symptoms of folic acid (vitamin B9) deficiency include anemia and mood disorders. Low levels of folic acid may contribute to depression, possibly because of a resulting lowering of neurotransmitter levels. Poor dietary intake of folic acid can result in growth retardation, macrocytic anemia, glossitis, and gastro-intestinal disorders. In more extreme cases of folic acid deficiency, symptoms including macrocytic anaemia, weakness, fatigue, mood instability, problems breathing, anorexia, diarrhea, weight loss, headaches, and palpitations may occur. Folate deficiency seems to be connected to cervical dysplasia. It has also been linked with coronary artery disease and peripheral vascular disease. Folate deficiency can cause diarrhea, anemia, loss of appetite, weight loss, sore tongue and a variety of other symptoms. In a developing fetus, folic acid deficiency may cause birth defects such as spina bifida and anencephaly. People who drink large amounts of alcohol may need extra folic acid to prevent a deficiency. Sometimes, treatment of anemia with folic acid will mask an anemia caused by a vitamin B2 deficiency. Always consult with your doctor before taking a large amount of any vitamin supplement. The use of folic acid has usually not been connected to any adverse side effect in supplemental amounts. At the same time, supplements of folic acid may possibly interfere with the laboratory diagnosis of a deficiency of the vitamin B12; this interference can possibly allow the B12 deficiency to go on undetected to a level where the body has already sustained some irreversible nerve damage at the biochemical level. A nutritionally oriented doctor must always be consulted when supplementing with 1000 mcg or more of folic acid to avoid a vitamin B12 deficiency - though even a B12 deficiency is quite rare. High doses of folic acid might cause abdominal cramps, diarrhea, rash, sleep disorders, irritability, confusion, nausea, stomach upset, behavior changes, skin reactions, seizures, gas, excitability, and other side effects. There is some concern that taking too much folic acid for a long period of time might cause serious side effects. Some research suggests that taking folic acid in doses of 800-1200 mcg might increase the risk of heart attack in people who have heart problems. Other research suggests that taking these high doses might also increase the risk of cancer such as lung or prostate cancer. The body requires folic acid to properly utilize the vitamin B12 in the body. The absorption of folic acid in the intestines is inhibited by proteolytic enzymes and antacids. Supplements of folic acid are suggested by doctors for all individuals already using either of these compounds. Supplements that contain folic acid can interfere with methotrexate therapy used in treating cancer patients. The presence of any folic acid in dietary supplements and their use on individuals taking methotrexate for the treatment of cancer must be supervised or assessed by a doctor. Don't take more than 400 mcg per day unless directed by your healthcare provider.